Enter the world of medical coding where jobs and salaries depend on having the right certification. US medical coder jobs that pay a high salary per-year and per-hour have one thing in common: Candidates with a national certification like CPC from AAPC or CCS from AHIMA. #1. Which is the Best Medical Coding Certification Today? The two main national certifications today are AAPC's Certified Professional Coder (CPC) credential, and AHIMA's Certified Coding Specialist (CCS) credential. You need to pass any ONE of these proctored exams anywhere in the US (or selected centers abroad) to get certified. The passing score on the CPC exam is 70% and it's a 5 hour 40 minute exam with 150 multiple choice questions. You will be tested on topics that include ICD-10-CM, HCPCS, medical terminology, anatomy, anesthesia, radiology, pathology, medicine, evaluation & management. Remember that both CPC and CCS-P are tough exams and around 40-50% students do not pass it on the first attempt. That's why you need to be well prepared. Start with the CPC or CCS-P certification exam. Either of these credentials will help you get a job in a doctor's or physician's office with a starting salary of $34,000-43,000 per year. Once you gain at least 3-5 years experience as a physician coder, get the CCS certification. This will help you move up to hospital coding with salaries in the range of $44,000 and $57,000 per year. 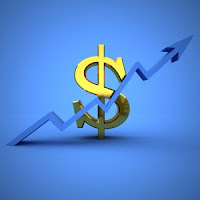 The U.S. Bureau of Labor Statistics (BLS) predicts stable employment outlook for medical billing and coding specialists, at least up to 2022. However, it is a necessary prerequisite for you to pass at least one national certification exam, to be hired. * based on April 2019 figures. Sourced from actual job listings and employment data. What puts these cities in practical prominence are 3 unique factors: (a) higher per-hour salary for certified medical coders, (b) growth opportunities within a re-energized health care economy, and (c) stable employment prospects that have proven themselves to be future proof. And finally, looking at the big picture, more than 65% of all medical billing and coding activity is concentrated in these 21 US states: Florida, Georgia, North Carolina, Tennessee, Texas, California, New York, Arizona, Nevada, New Mexico, Louisiana, South Carolina, Alabama, Mississippi, Kentucky, Illinois, West Virginia, Missouri, Massachusetts, Ohio and New Jersey. 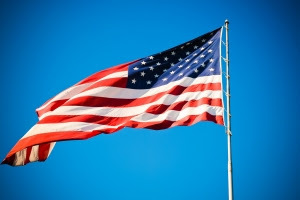 Interestingly, New Jersey is one of the top-paying states for medical records and health information technology jobs. However, national certifications like CPC or CCS-P open up career opportunities in any part of the country. The annual salary of certified medical coders in the US is between $34,000 and $57,000 a year. Certain specialties like neuropsychiatry coding pay up to $62,000 a year. The hourly pay for coders and billers is between $16-29 per hour based on location, experience and certification. In case of overtime, pay rates vary between $14 and $35 per hour. Benefits like health insurance and a 401(k) program are part of the job description for full-time employees. for coders, billers, medical & nursing students. #5. Medical Coding Salary - How much do American Coders Earn? The average salary of a certified medical coder in the US is $43,000 per year, or almost $23 an hour. The keywords here are certification, experience and location because these are the three main factors that determine how much you earn as a medical coder. If you have at least 2 of the 3 factors in your favor (e.g., certification and experience, or certification and location, or experience and location) then your earning potential increases exponentially. Given the intense competition in some parts of the US for coding and billing jobs, it is only fair to say that you should use every available advantage and opportunity at your disposal to increase your employability and competitive edge. This starts with getting certified and runs parallel to actively seeking out internships, externships and medical records jobs in your own neighborhood or the nearest city. Follow through with this and you will succeed. Starting at an entry level and going up to specialist positions, the nationwide salary varies between $34,000 in smaller cities to as much as $62,000 in larger cities / metropolitan areas like New York, Los Angeles, Atlanta, Dallas, Houston, Miami, Orlando, Chicago, Boston, Baltimore, Seattle and others. Going by hourly pay rates, the average earnings are between $16-19 per hour for coders with certifications like CPC or CCA. Once you gain at least 5-7 years experience as a physician coder or hospital coder, the pay rates go up to $19-29 per hour. The highest per-hour pay ($30+ per hour) is usually reserved for specialist medical coders like those in Rheumatology or Neuropsychiatry. Hospital medical coding jobs invariably pay a higher salary than physician coding jobs. But physician coding is comparatively easier to get into because of the number of private practitioners today. #6. What Do Medical Coders Do? The job of a medical coder/biller is to interface between the medical administration (the office where you are employed) and insurance companies from whom reimbursement is sought for treating patients. As a coder, your job is to generate inpatient or outpatient records, while as a biller, your job is to process billing records based on the cost of treatment. Effectively, the job of a billing and coding specialist is about medical treatment records and claims processing. This requires knowledge of ICD-9-CM/ICD-10-CM guidelines or classification, CPT codes, medical terminology and anatomy & physiology. Your job is to generate these case files based on treatment procedures, diagnostic codes, coding & billing guidelines and standardized procedures for medical claims reimbursement. #7. Where Do Medical Coders Work? Most billing and coding specialists work in a doctor's office, hospital or similar medical facility. Such workplaces are usually located near the city center or across large cities within proximity of health care business districts. However, it is not uncommon for healthcare companies who specialize in off-site medical coding to be located away from the city center. This is where the possibility of telecommuting jobs is higher because the coding firm or billing company works with a small on-site training and support staff (less than 10 people) whereas the bulk of the work is done by a larger home-based work group. For regular jobs in coding or billing, you will be assigned one of two shifts, following the procedures of a medical office. Work hours are usually fixed: Monday-Friday, 40 hours a week / 8 hours a day. In addition to any overtime pay, selected workplaces may also have bonuses or a profit-sharing arrangement with employees. However, this is rare. AAPC stands for the American Association of Professional Coders (est. 1988) while AHIMA stands for the American Health Information Management Association (est. 1928). Both are the largest organizations of their kind in the medical billing and coding industry, and their certifications are valued and respected by employers, hospitals and health care providers anywhere in the US. The AAPC's certification is called Certified Professional Coder (CPC) while AHIMA's credential is called Certified Coding Specialist-Physician (CCS or CCS-P). Both certifications are exam based, i.e., you can prepare for these exams using recommended study guides and, when you are ready, simply send in your application forms 4-6 weeks before the exam date. Both AAPC and AHIMA have several local chapters with exam centers across the US and a few in foreign countries. You can choose your own location at any of the AAPC/AHIMA-designated exam centers in your town, city or county. Please remember that if you are serious about a career (including a home-based career) in the medical billing and coding industry, then you NEED to get certified by at least one of these organizations. To reiterate a fact, certified medical coders earn up to $7,000 more than non-certified coders. And to pass your certification exam, you need to start preparing now. CCA and CPC-A are two other designation certifications for coding career aspirants with little to no experience and/or formal training in a medical coding and billing program. CCA stands for Certified Coding Associate (an AHIMA certification) while CPC-A stands for Certified Professional Coder-Apprentice (an AAPC certification just like CPC). But which one of these should a beginner coder choose? Our recommendation is to simply prepare for the CPC exam. It's the exact same thing as preparing for the CPC-A designation. CPC designation if you have 2 years of experience (externships are accepted too) OR 1 year experience along with completion of 80 contact hours in a medical coding course. CPC-A designation if you have no prior experience at all, nor have you taken any coding course. Remember that you will be using the exact same books and study guide for getting the CPC-A or CPC credential. The only difference is that CPC is awarded to passing candidates with at least 1 year work experience while CPC-A is awarded to candidates who pass the CPC exam but don't have any work experience or formal training. As a work-ready professional qualification, CPC is far more well-known among a majority of employers in the US and around the world. And with a CPC-A designation in your hands, the transition to full CPC status becomes a lot easier. You also get a chance to retake exams. Let us clarify that AHIMA too has a certification exam called CCS-P that is comparable to CPC for physician coding but can be tougher because the test format is more varied. The CCS/CCS-P exam format comprises multiple choice, multiple select and fill in the blanks sections pertaining to medical records cases. Also, the CCS/CCS-P exam is 4 hours in length compared to the 5 hours 40 minutes that you get for completing the CPC exam from AAPC. Those who choose to get the entry-level CCA certification from AHIMA will most likely go on to get the CCS-P certification (physician coding) and/or CCS certification (hospital coding) from AHIMA itself. It is also possible to mix-and-match certifications to boost your coder profile, i.e., get the CPC certification from AAPC and then the CCS certification from AHIMA. That way, you have the best of both worlds and dual qualifications for employers who prefer one or the other. AAPC is the largest organization for medical coding certification and its credentials (CPC, CPC-A, CPC-H, CPC-P, CIRCC and Specialty) are the natural choices for both beginning and advanced medical coders in the US. AHIMA certifications, on the other hand, are good for comparable concentrations in advanced areas of medical coding (specially hospital coding) and hence suitable once you've gained at least 5-7 years of work experience. So prepare for the CPC exam first if you're a beginning medical coder. Once you gain enough experience, get the CCS certification. For those looking at jobs and career options beyond medical billing and coding, medical auditing (a.k.a. 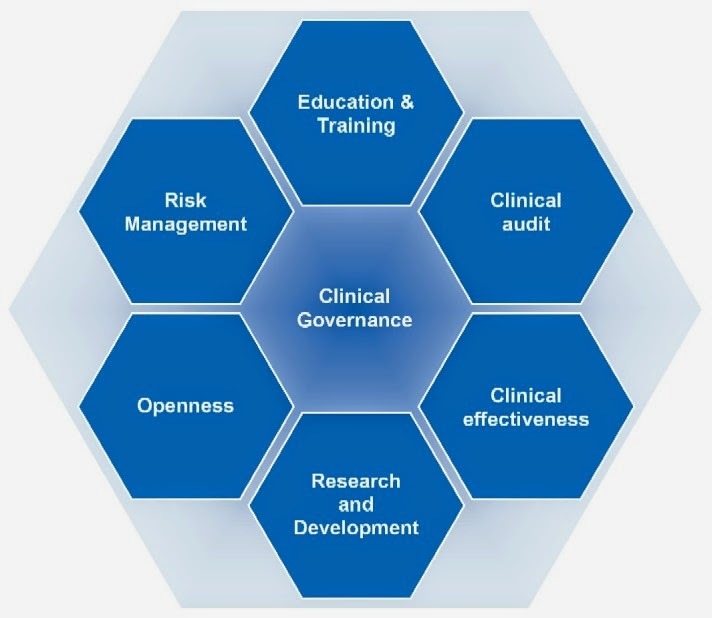 clinical auditing) provides a new avenue for growth and opportunity in the US health care market. It gained serious traction in 2014-15 (with changes in medical insurance and reimbursement policies & laws) and is expected to grow exponentially between 2019 and 2022. It's a field that goes beyond both coding and billing but also complements both of them perfectly. In fact, it's an extension to both, which means you can either consider medical auditing (the role of a medical auditor) as a standalone career, or you could see it as a logical, forward looking and well-paying career option once you pass your medical coding certification exam. Since medical auditing deals with industry compliance of clinical documentation -- in addition to health care diagnosis, treatment procedures, ethical practices, services and administration -- it requires you to understand and be able to practically apply medical coding knowhow. A career in medical auditing is a mix of medical records technology and health services administration. The salary of a medical auditor ranges between $41,000 and $54,000 for those who have a degree or certification, while at the higher end, the salary is $79,000 for experienced specialists who have a master's degree in medical auditing. If you want to pass the CPC or CCS-P medical coding exam in your first or latest attempt, then you need to download this practice set now. It's the most comprehensive and up-to-date course to prepare you for both exams in one place. 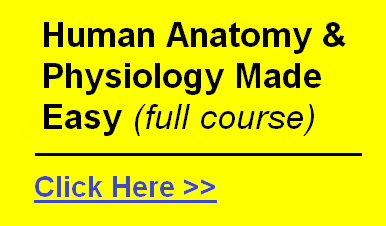 Also recommended is the Anatomy & Physiology course listed below. Together, they reveal the quickest way to master two of the most important components of medical coding theory and practice. © 2013-2019 Medical Coding World. All Rights Reserved. Simple theme. Powered by Blogger.